Reading the Last Discworld Novel – The Shepherd’s Crown | Damian Trasler's Secret Blog - Do Not Read! 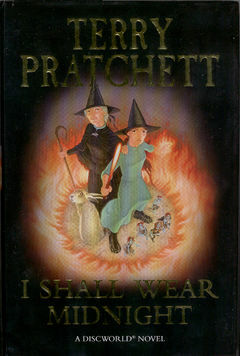 The last Discworld book completed by Terry Pratchett. When Middle Weasel was nine years old, we read her “The Wee Free Men“. It had been around for seven years at that point, but the main character, Tiffany Aching was nine years old too. She is a determined young girl, looking to make sense of the world, unwilling to take at face value the nebulous explanations offered by adults . In this way, she and Middle Weasel were very much alike. In the book, Tiffany decides that she wants to be a witch, and when the Baron’s son goes missing, Tiffany goes off to save him. She knows that in the “real” world, it’s boys who do the saving and girls that get saved, but no one can give her a good reason why this is so. Armed with a frying pan, she defeats the Queen of the Fairies and restores Roland to his father, earning the respect of the senior witches along the way. She also learns a lot about herself. 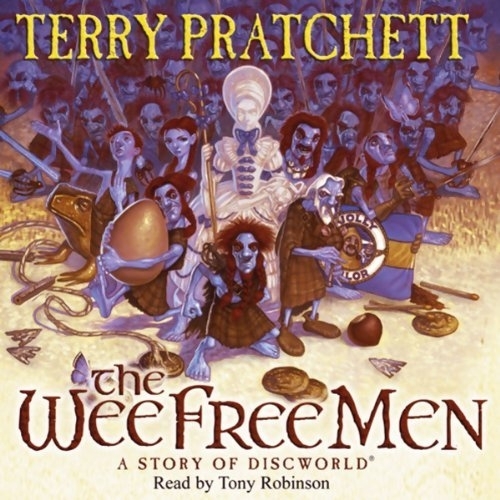 The Wee Free Men is supposed to be a children’s story, but it’s by Terry Pratchett and it’s got a lot to it. There’s comedy, certainly, provided by the titular blue heroes, who generally help Tiffany. But there’s a lot of philosophy too, a lot of musing on the reality of life, and why we see things a certain way. 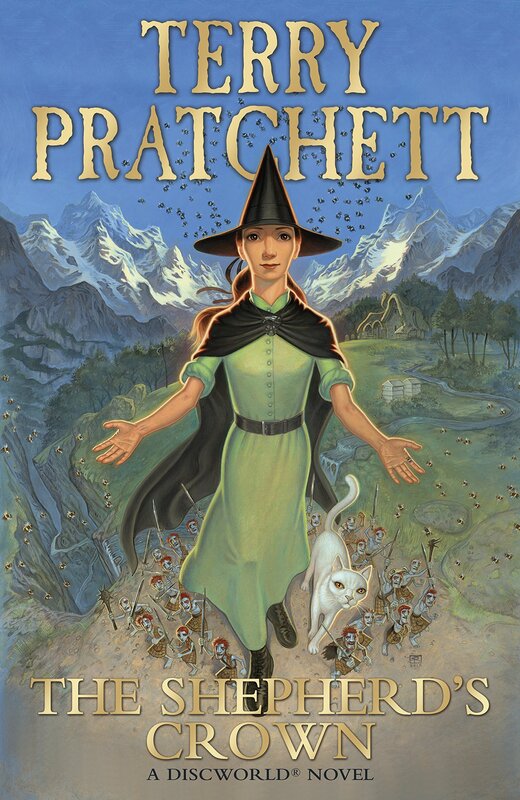 Terry Pratchett has always flipped genre stereotypes, and here he takes on the massive task of inverting the old prejudice against the old woman who lives on her own in the woods with only her herb garden and cats for company. Middle Weasel liked the book, primarily for the comedy, but enough that she took on the subsequent Tiffany Aching Stories. Either with us or alone she read “A Hat Full of Sky” and “Wintersmith” and “I shall wear midnight“. Along the way, Tiffany grows up, sometimes a little faster than Middle Weasel. She learns that being a witch is more about not using magic, not because you can’t, but because you can. It’s about doing the job that’s in front of you. It’s about helping everyone in a million tiny ways, and not expecting thanks. It’s about learning that when you dig a hole well, your only reward is a bigger shovel. Tiffany faces challenge after challenge in the series, and each time the challenge is brought about by who she is, and resolved by it too. The other witches support her, but never do the job for her. By the time we reach “The Shepherd’s Crown“, Tiffany is in her teens and working flat out as the only witch on the Chalk – the downs where she lives, not terribly unlike Wiltshire, where Terry Pratchett made his home. I felt guilty when I heard that Terry Pratchett had completed this last book before he died – guilty because I was pleased. When Douglas Adams died, I eagerly bought the collection “The Salmon of Doubt“, because it contained seven chapters of an incomplete Dirk Gently Novel, but reading those chapters and knowing the story would never be finished was terrible. The introduction to “The Shepherd’s Crown” explains that Terry Pratchett would probably have revised this version of the book a few more times before publication had he had the chance, but I’m glad it was published. Other stories and outlines that were incomplete at his death will never see the light of day, something I am simultaneously sad about and glad for. His daughter recently said on Twitter that she might work on tie-ins or spin offs, but the books “remain sacred to Dad”. Some fans have read all but the last page of the book, so that the Discworld novels will never end for them. I couldn’t be that way, devouring the book in a single night. 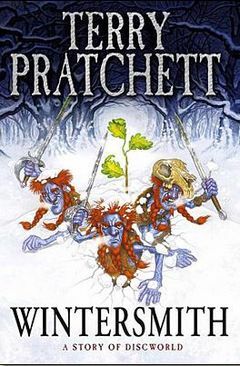 The story is classic Pratchett, and I found it more satisfying than the last Sam Vimes outing (“Snuff“) or the final Moist Von Lipwig story (“Raising Steam“) even though I’m a big fan of both of those series too. The story does leave one thread loose, but not in a way that will bother most readers. I won’t go into the story itself, because you should read it – and if you haven’t already, start with “The Wee Free Men” and work your way through, learning about Discworld witchcraft along with Tiffany. Quite early on in the book, Death comes calling. Death is a frequent character in all of the Discworld novels, and actually is the central character in more than one. As anthropomorphic personifications go, he’s a kindly reaper, and in this instance he says more than he usually would about the nature of the life led. It struck me, on reading this line, that this was a worthy aim for all of us. Instead of trying to change the whole world, instead of raging and demanding it change to conform to our view of right, perhaps we should do the job in front of us, help those around us, and do it because it’s the right thing to do, not because we expect to benefit. This entry was posted in Book reading, Writing and tagged book review, Discworld, Terry Pratchett, The Shepherd's Crown, Tiffany Aching. Bookmark the permalink. Thank you. I have been agonizing about whether to read this book or not. 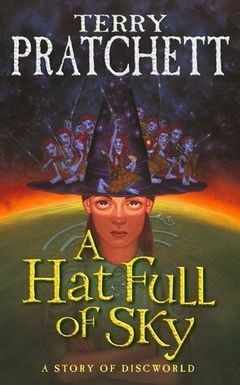 The last Pratchett book ever! It seems unthinkable. This post soothed something in me, so kind of inching towards The Shepherd’s Crown. Glad I could help. I know what you mean though – I was very nervous, but it is well done and I really enjoyed it.